A change that has taken place within our Association. With immediate effect Ughi e Nunziante shall no longer be our Italian firm and are replaced by Nunziante Megrone. I attach a brochure from Nunziante Megrone for your information and giving you some detail about the firm. We would like to thank Ughi e Nunziante for their commitment to AEL over the years and wish them all the very best for the future. We are pleased to welcome Nunziante Megrone and look forward to working with them in the future and meeting some of their lawyers at our upcoming events. 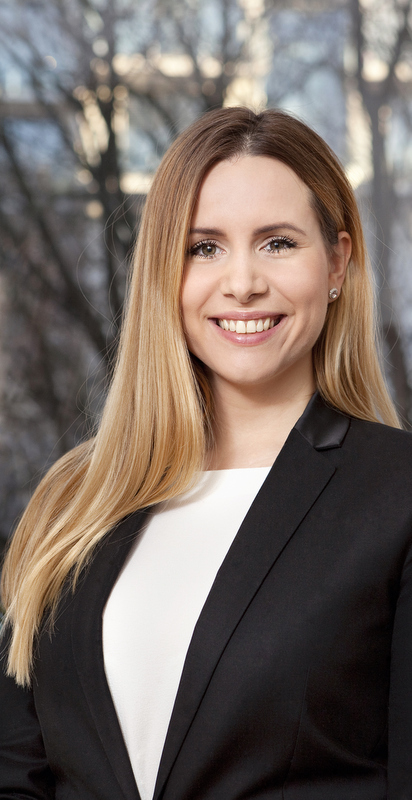 We are delighted to announce that Laura Ogurčáková from Zarecky Zeman has joined the Junior Board. She joins Tom Wright, Matteo Magistrelli and Christin Hempel. She will be helping them with their current task of looking into the Special Interest Groups. We shall have an update on their work/findings at the AGM in September. If you have any issues that you would like the Junior Board addressing or any ideas how to rejuvenate our Special Interest Groups please email ael@brabners.com. The first consequences of Brexit in terms of data protection laws are appearing on the horizon. The EU Commission has issued communication on 9 January 2018 stating that the United Kingdom of Great Britain and Northern Ireland will be classified as “Third Country” within the meaning of the GDPR. If this is of relevance for you please refer to the also attached “Tiefenbacher Newsletter”. If you or your clients do have a corporation registered in Germany with a foreign shareholder those companies will need to comply with the newly introduced rules on the transparency register. With the attached “Tiefenbacher Newsletter” we inform you about the prerequisites for a separate registration with the transparency register and potential relief. There has been some recent movement in the Executive Committee and Junior Board. After many years service we said goodbye to Mike Scott, a former Secretary General, who has been replaced by Ben Smith (Charles Russell Speechlys) who shall also takeover the role of Treasurer of the AEL. We also welcomed 2 new members to our Junior Board, Cristin Hempel (Tiefenbacher) and Tom Wright (Brabners) to join Matteo Magistrelli (Ughi e Nunziante). We are always looking for more people to join the Junior Board and in this way if you would like to put yourself or a colleague forward please contact Helen Cooper (ael@brabners.com). The Executive Committee would like to welcome the above and look forward to working together. Fenemore advises lenders and borrowers on trade finance and growth market transactions. He joins LKT as a partner in the Banking & Finance practice, working alongside partner and practice area head Szabolcs Mestyán. Fenemore joins LKT from Clifford Chance’s London office. He began his legal career in Budapest with the predecessor of LKT, and then moved to London where he has been based since 2002, save for a 5 year period in Bucharest. Fellner Wratzfeld & Partners (fwp) successfully provided legal advice to HYPO NOE, the association of mortgage banks of the Austrian Provinces and Pfandbriefbank in connection with financing repayments to be made for specific bond issues, thus ensuring the stability of both Pfandbriefbank and the mortgage banks guaranteeing such repayments. Fellner Wratzfeld & Partners(fwp) represents HETA Asset Resolution AG (formerly HYPO Alpe-Adria Bank International AG) in connection with the judicial review proceedings before the Austrian Constitutional Court following the implementation of special Hypo legislation. The Constitutional Court has now rejected all individual applications filed by Austrian and international investors as inadmissible. Business law firm Fellner Wratzfeld & Partners (fwp) advises UniCredit Bank Austria AG on the multi-stage structured sale of the real estate portfolio it holds via Immobilien Holding GmbH. Press release: Lakatos, Köves and Partners advised Bayerische Landesbank on the sale of MKB Bank Zrt. Leading Hungarian law firm, Lakatos, Köves and Partners, has been advising Bayerische Landesbank on the sale of its Hungarian subsidiary MKB Bank Zrt. which closed on Monday 29 September 2014.
fwp advises WEB Windenergie AG on the first issue of a hybrid bond by an Austrian wind energy provider. When to mediate? Can mediation be successful at an early stage of litigation? Is it necessary to have formal discovery or informal exchange of materials before undertaking to mediate? Members Involved: Edward Hoare, Tarlochan Lall, Hamish Perry, Sarah Henderson and Duleep Sahni. City firm Charles Russell has advised Storm model agency owners Sarah Doukas and Simon Chambers on the sale of an initial 51% shareholding in the model agency Storm to CKK, the NASDAQ-listed global entertainment company behind Simon Fuller’s 19 Entertainment, and the joint venture agreement regarding the shared ownership. Simon Fuller’s 19 Entertainment is one of the most successful entertainment organisations in the world, having created and produced hit television properties including “American Idol” and “So You Think You Can Dance,” and with its relationships and partnerships with some of the biggest names in sports, music and fashion, including David Beckham, Victoria Beckham, Claudia Schiffer, and world tennis No.3, Andy Murray. Storm is a leading model agency which represents an international roster of clients that includes Kate Moss, Lily Cole and Carla Bruni. The Charles Russell team was led by corporate partner Edward Hoare and was supported by tax partner Tarlochan Lall, corporate associate Hamish Perry, and solicitors Sarah Henderson and Duleep Sahni. CKX UK Holdings Ltd was advised by Field Fisher Waterhouse.